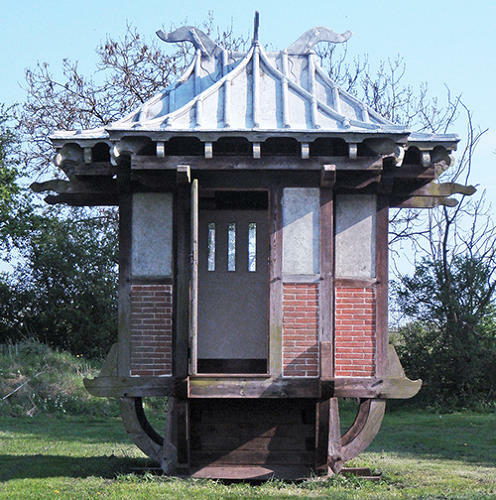 A Chinese inspired Tea House – built by the Brooke family of the Brooke Bond Tea Company between 1890 and 1910. 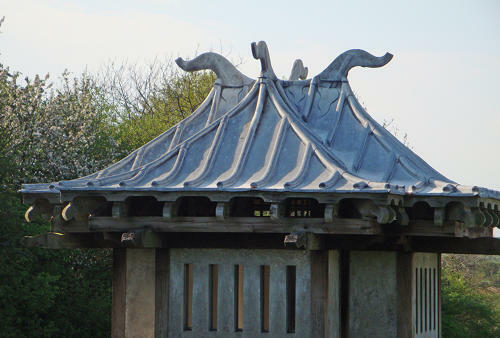 Influenced by their trips to China in search of exotic Tea - this was built at their Manor House in Gloucestershire. 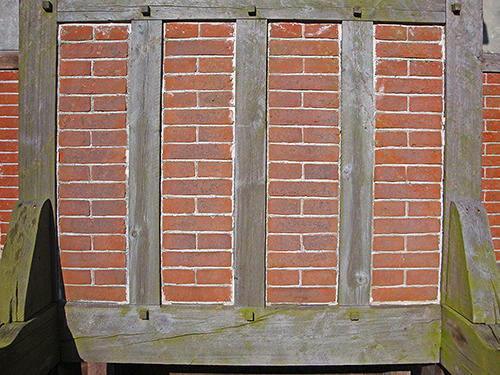 It is in very good order and is a charming and historical piece to sit in a garden or by a lake………Every thing has been built to a very high standard - joints are all pegged, bricks are handmade soft reds. 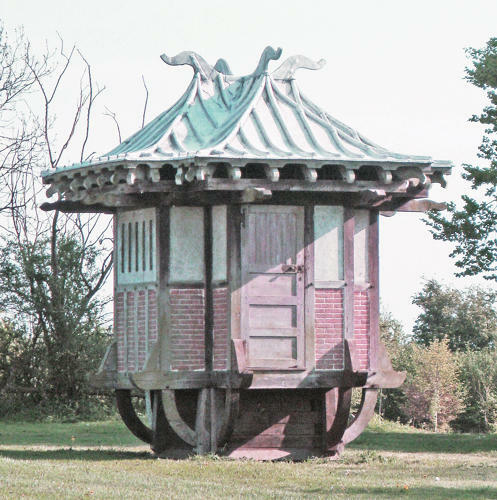 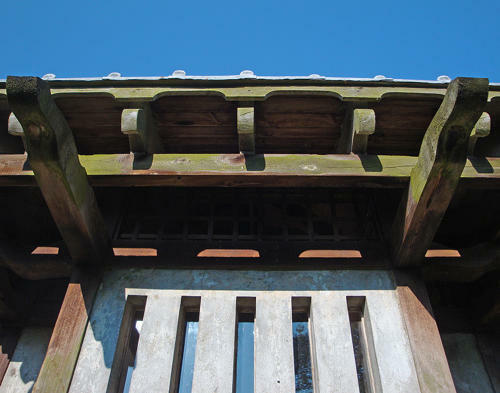 It has it's original internal shutters and the roof is made in zinc in a decorative Chinese design. 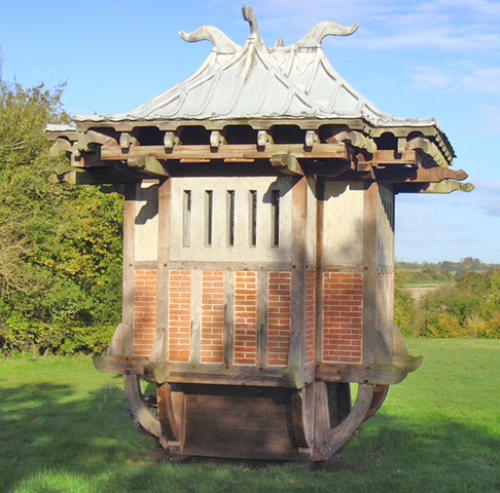 This is a charming and unique piece to sit by a lake or in the trees at the bottom of the garden - a haven for contemplation with an afternoon cup of Lapsang Souchong tea! 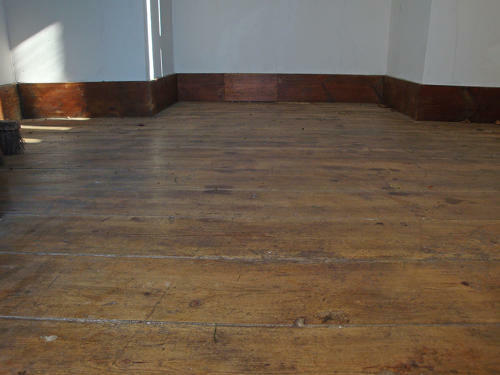 Internal dimensions - 244 cm square - Height 305cm. 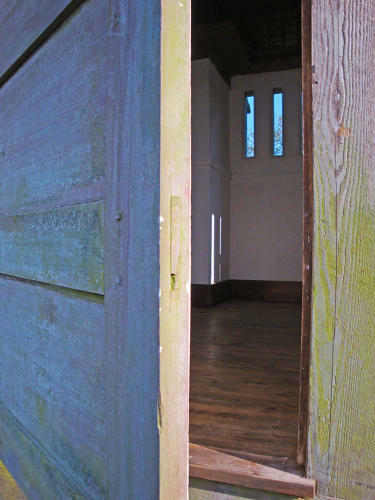 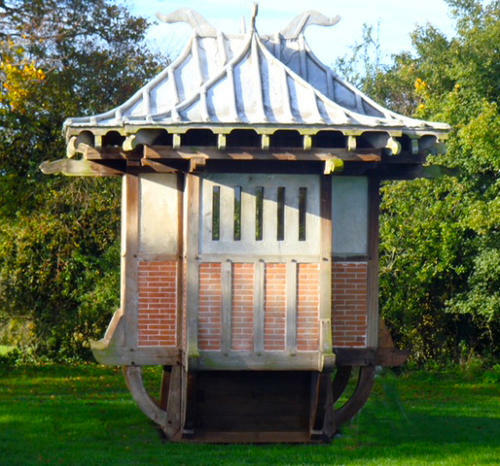 This unusual handmade small building is entirely original and is easy to tranport.